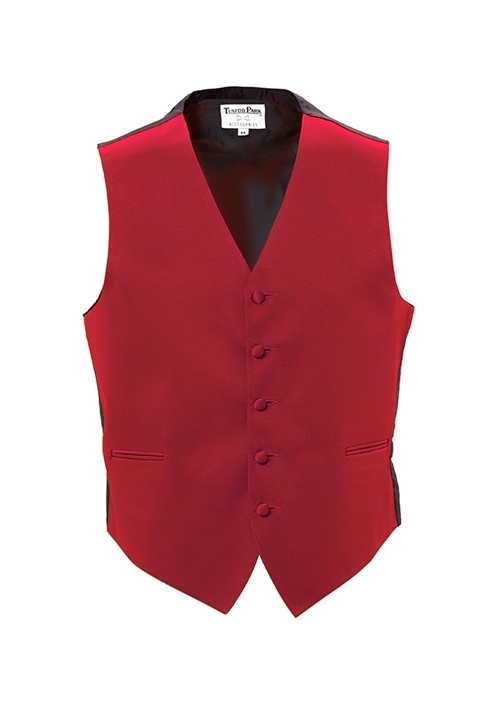 The Red Satin Fullback Vest by Tuxedo Park is a simple, formal fixture. This red vest features a fullback design, two front pockets, a popular 5 button front, and is featured from a polyester fabric that resembles satin. This vest is sure to set off your formal ensemble!